British Jihadis fighting for ISIS could be prosecuted for treason under laws that have not been used since the execution of British Nazis after World War II. The Foreign Secretary confirmed he was considering using Treason, in an answer to a parliamentary question yesterday. For some time there has been concern in Britain that many of the ISIS fighters were guilty of only minor offences in Britain. As an example so-called Jihad John may have brutally murdered a series of hostages in either Syria or Iraq but this in of itself is not a crime in Britain as it did not happen in the country. This raised the possibility that even some of the most dangerous terrorists might not serve long sentences. One proposed solution to this was to strip ISIS fighters of their British passports, either by revoking their citizenship in the case of dual nationals, or refusing to allow them back into the country if they only hold British citizenship. Mr Hammond replied: “There are a number of offences under English law with which returning foreign fighters can be charged. We have had a discussion about the allegiance question. Historically high treason was so considered so serious it carried the punishment of hanging, drawing and quartering, a gruesome and painful death. Often the quarters of the body where sent to the four corners of the Kingdom as a warning to others. It was later punishable by hanging but today carries a life sentence. The Treason Act was last used against the Nazi propagandist William Joyce in 1946. Joyce, who was more commonly known as Lord Haw Haw was from New York but held British, American and Irish citizenship. As a result of being British his regular radio broadcasts from Germany during the Second World War were grounds for a treason conviction. Joyce did appeal the conviction all the way to the House of Lords, which was the British Supreme Court at the time, but his appeal failed. He was hanged at Wandsworth Prison in 1946. 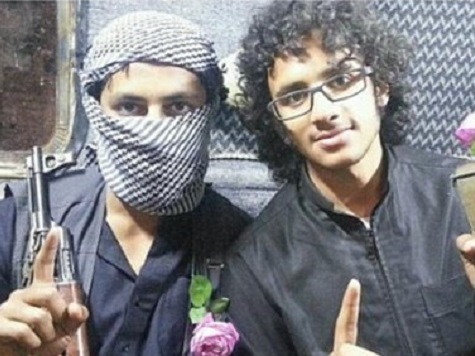 There are thought to be around 500 British fighters for ISIS, some of them have indicated they want to return to the UK as they have become disillusioned.